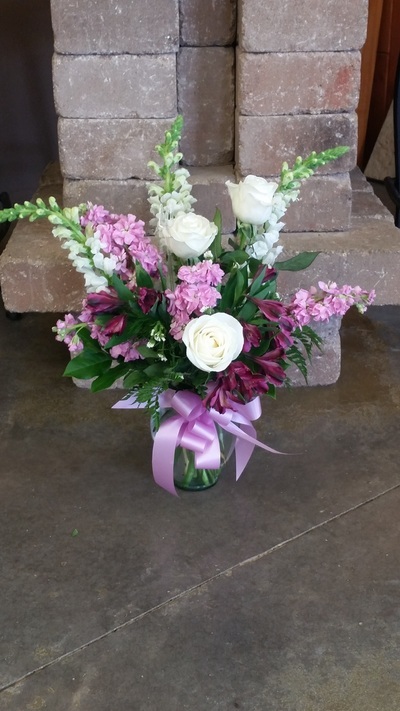 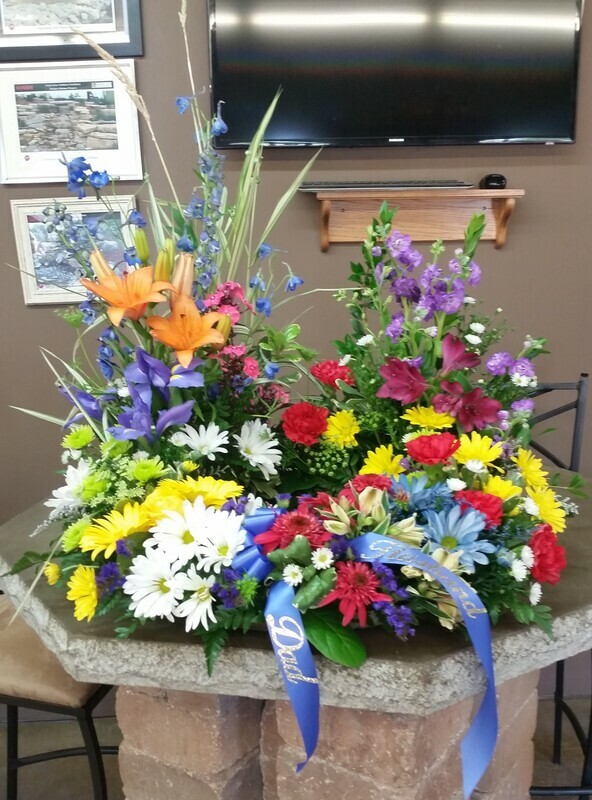 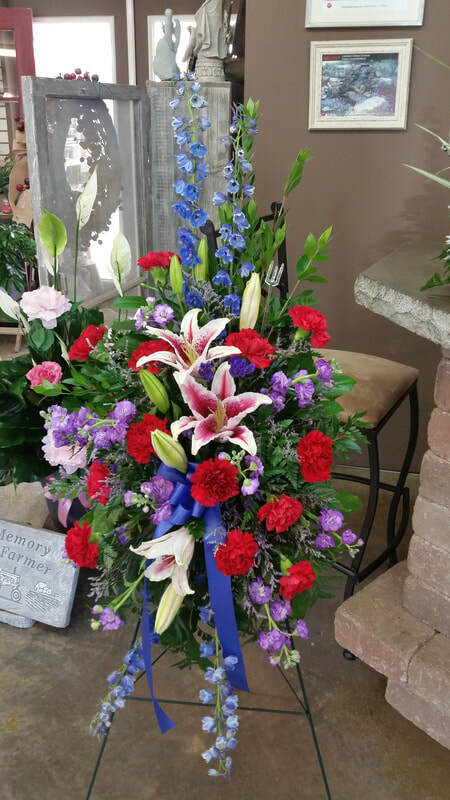 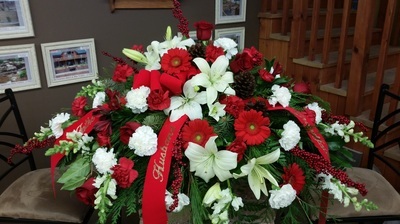 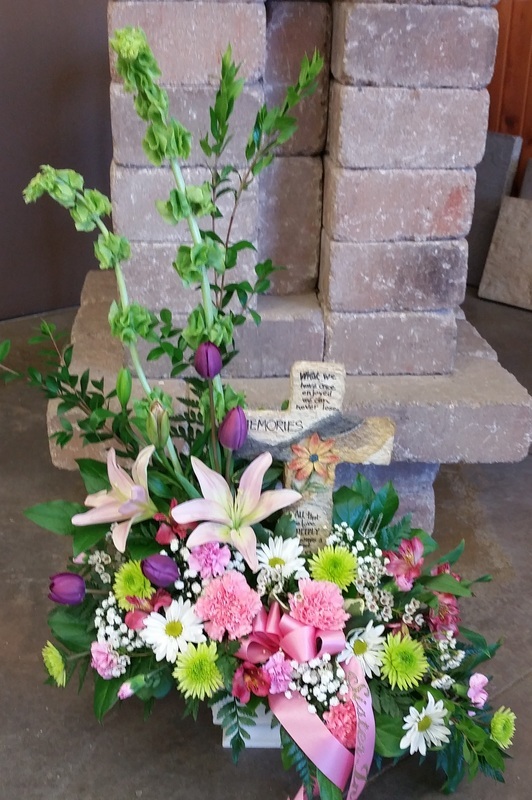 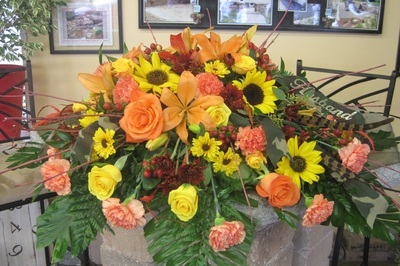 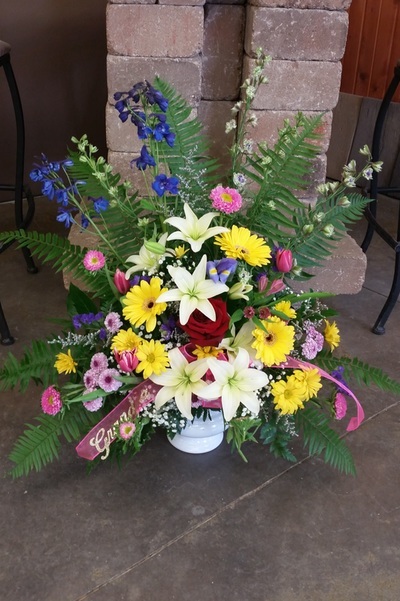 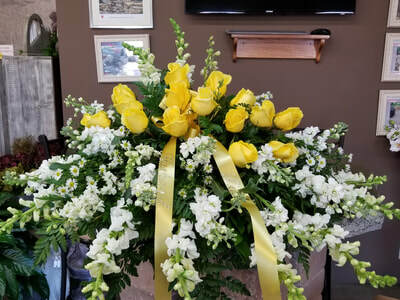 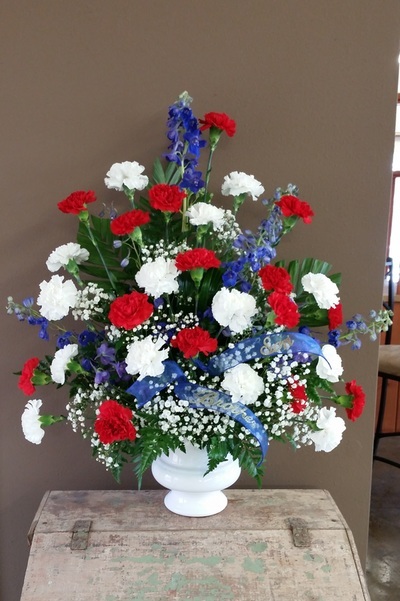 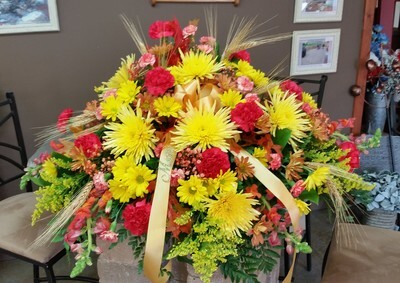 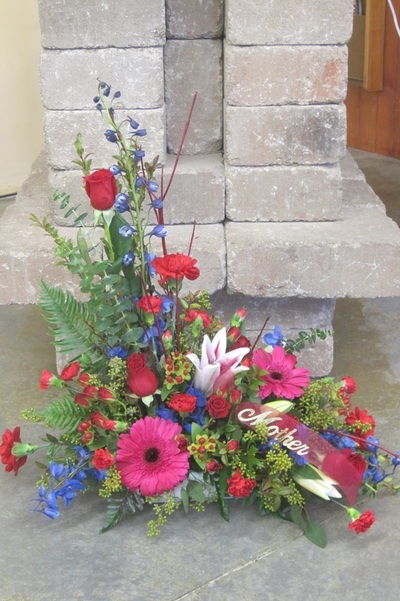 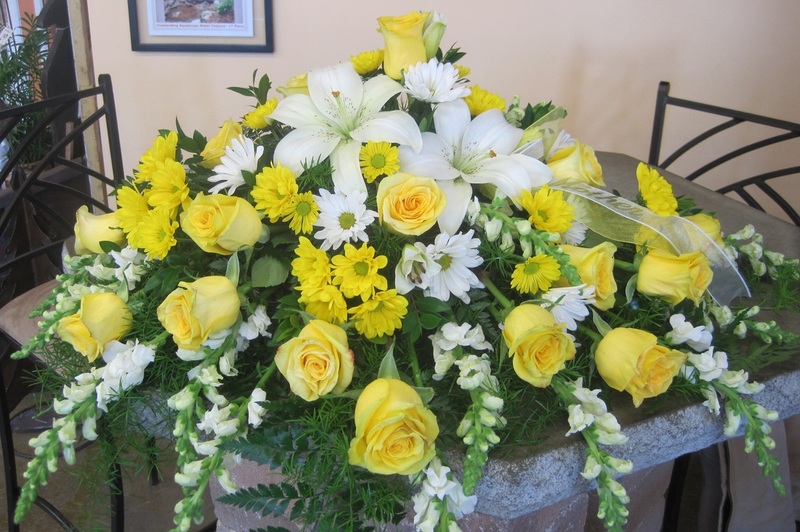 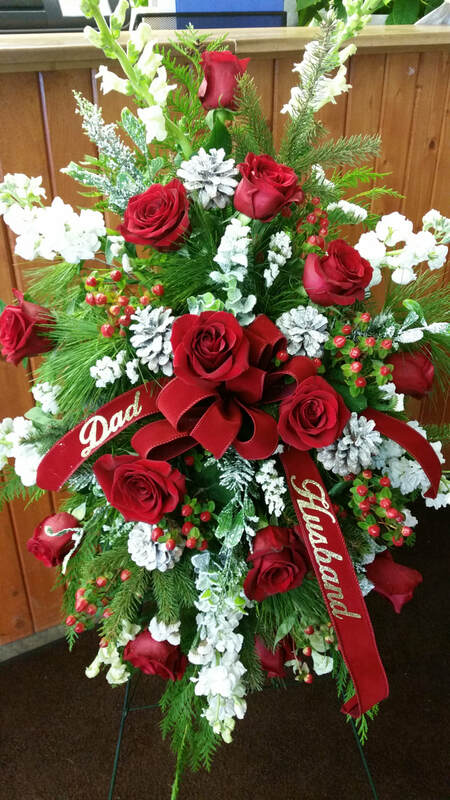 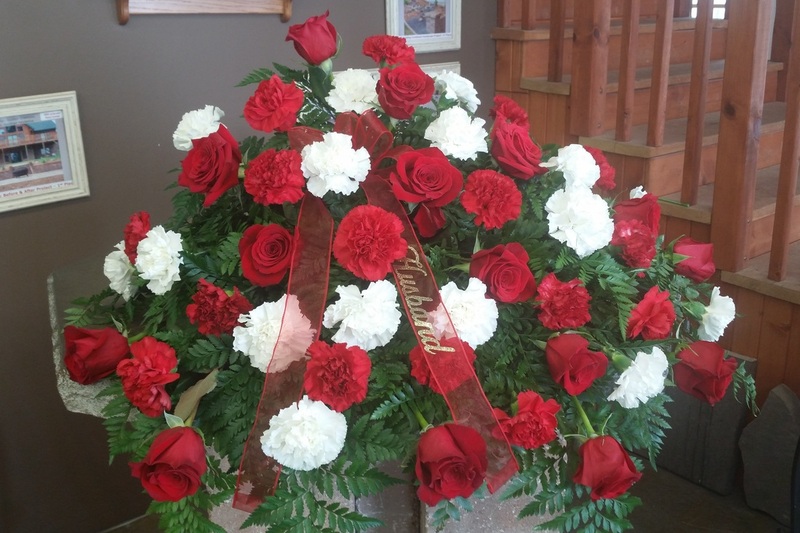 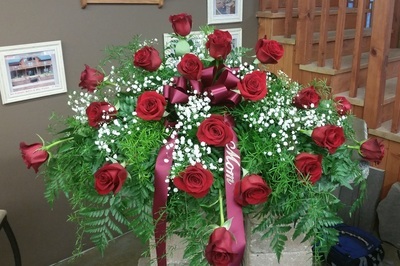 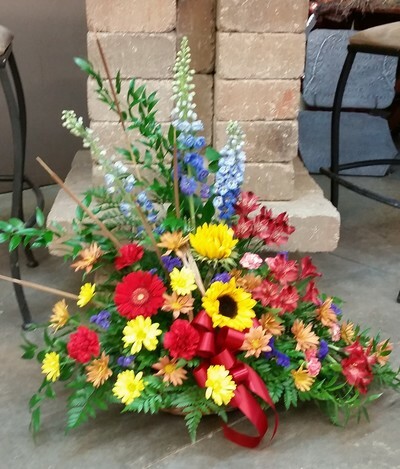 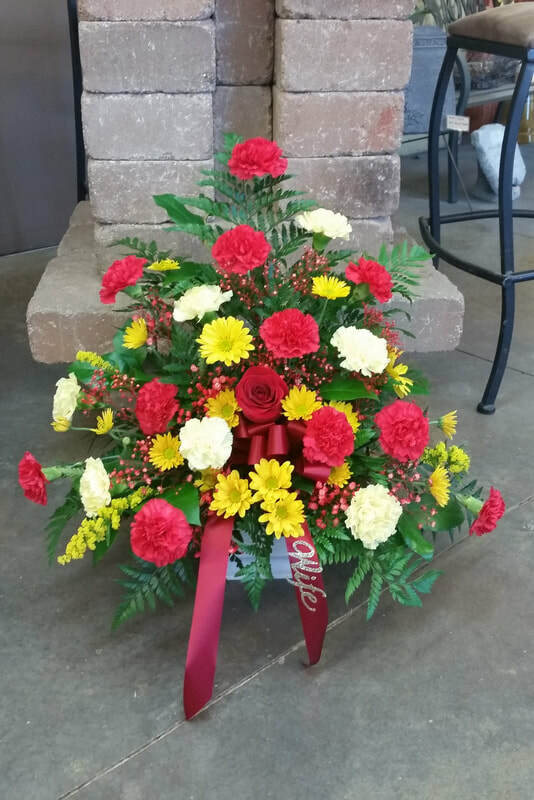 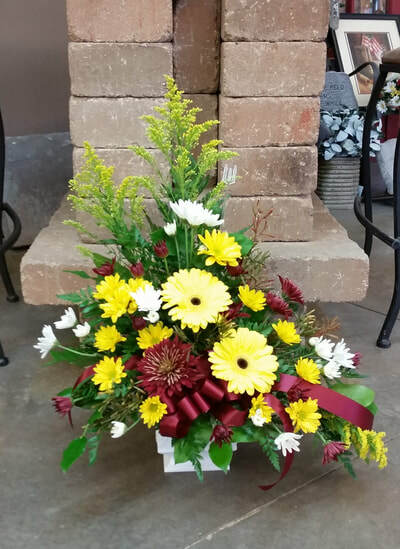 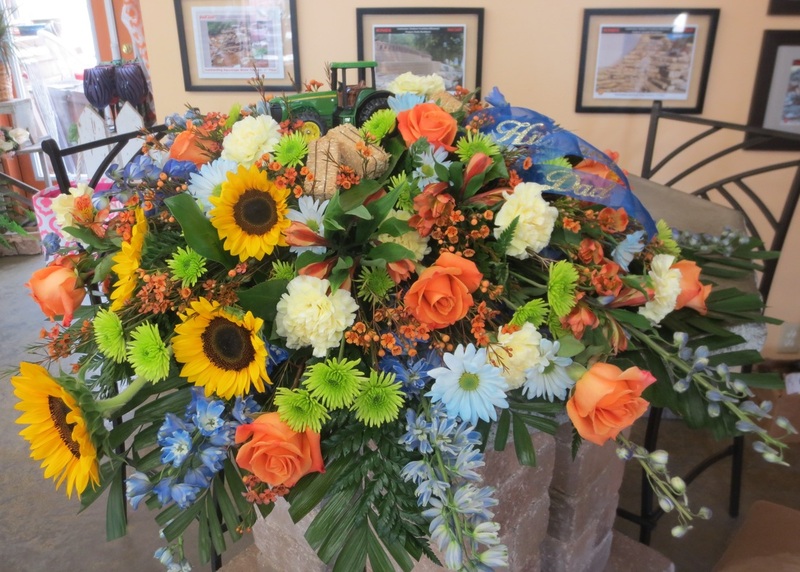 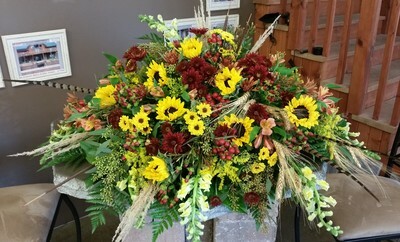 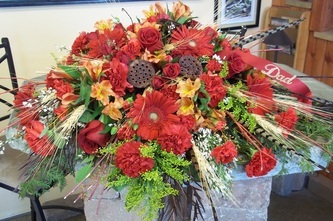 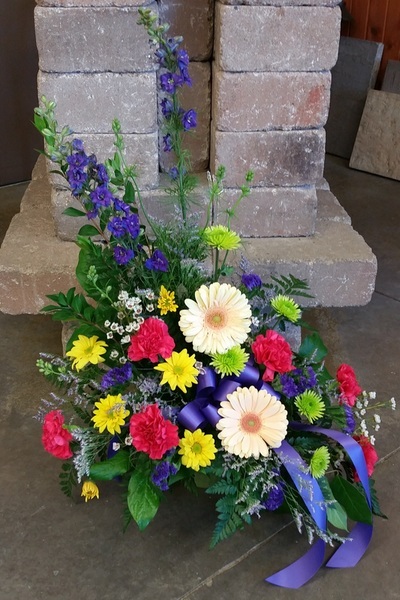 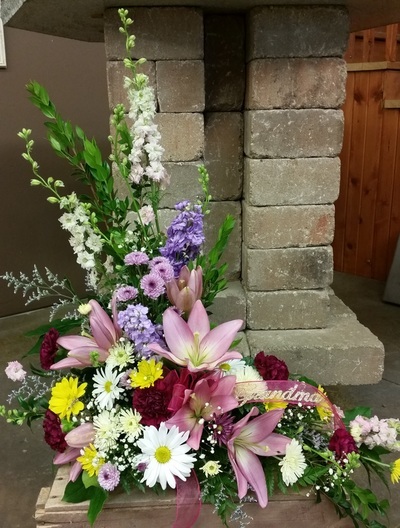 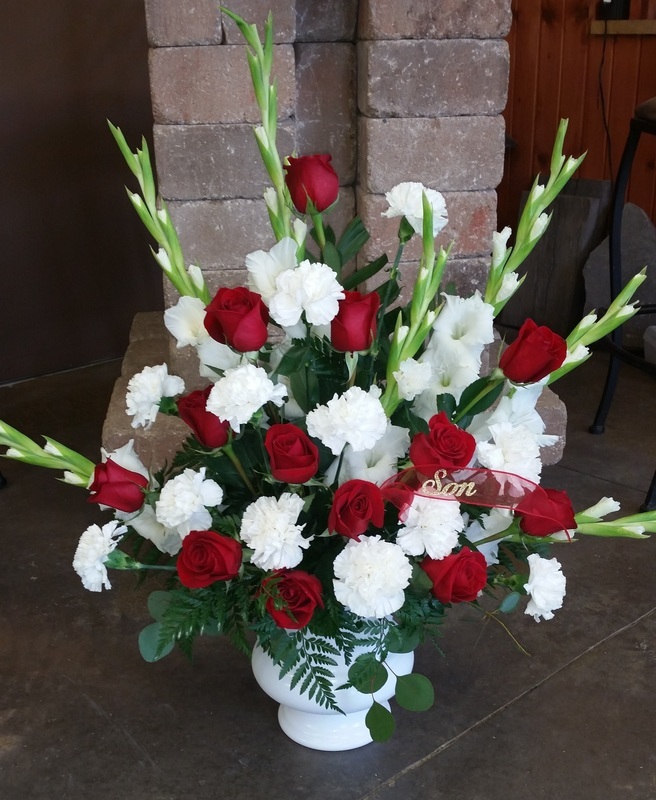 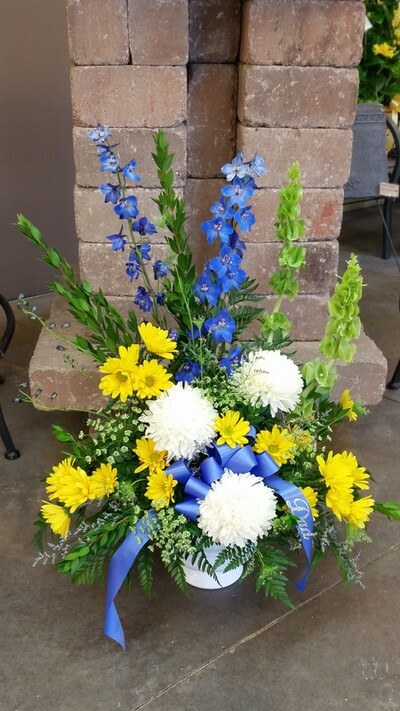 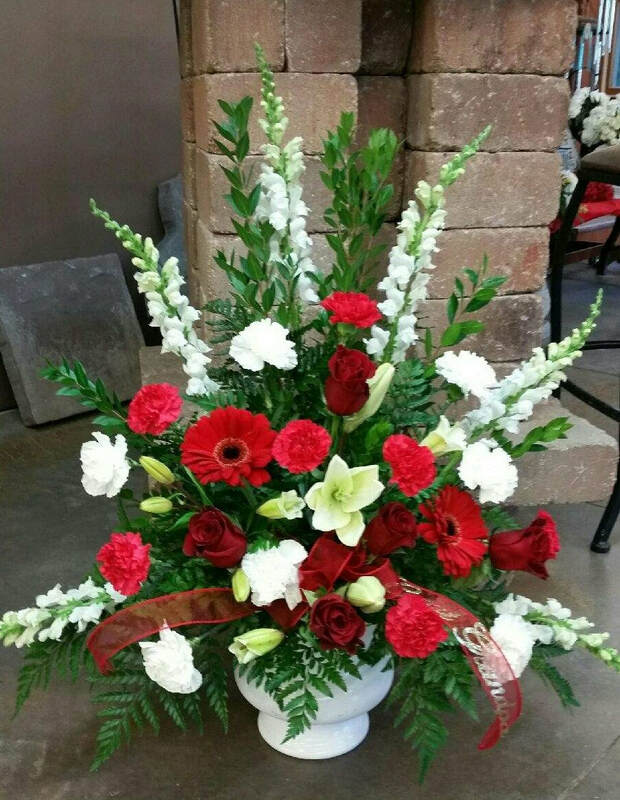 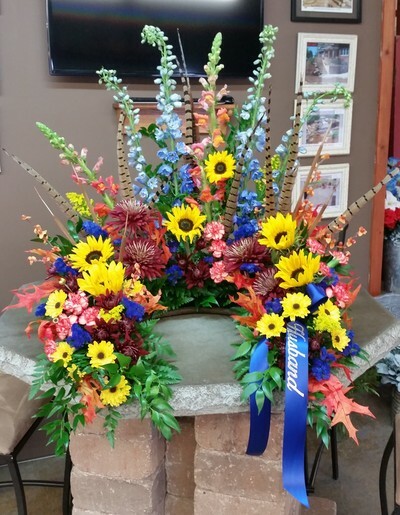 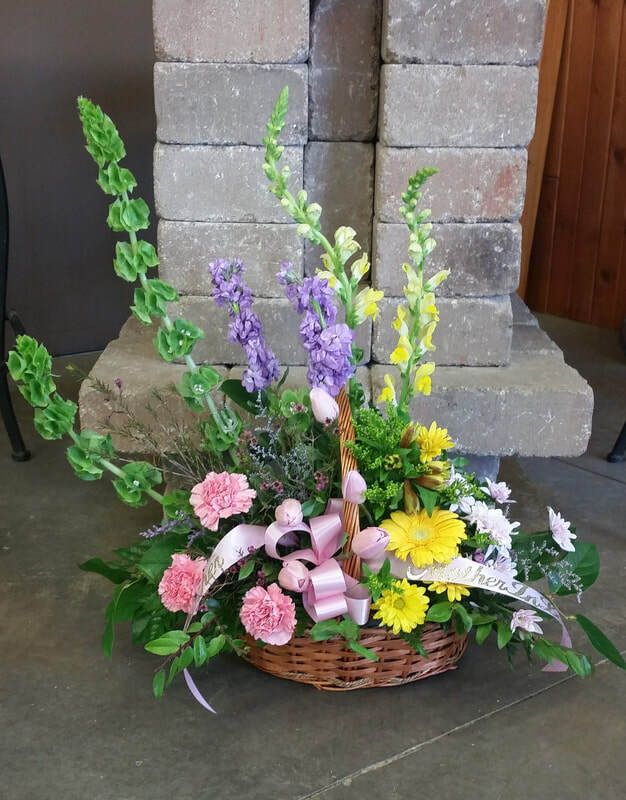 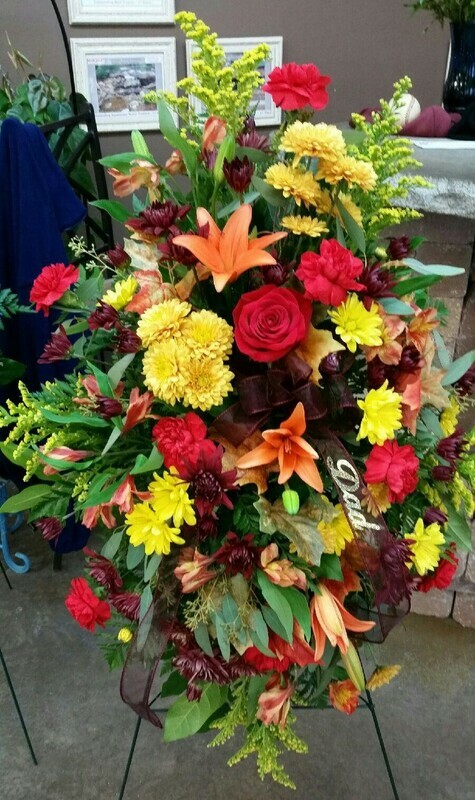 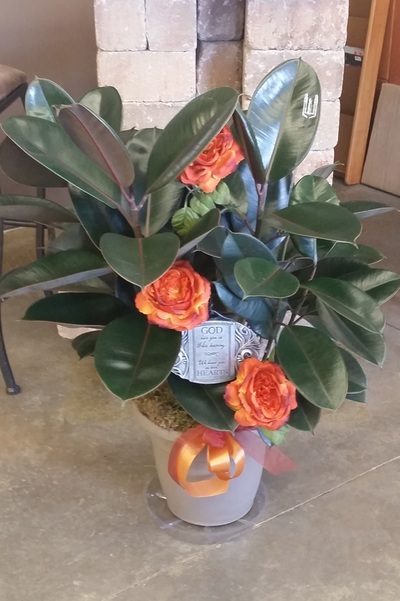 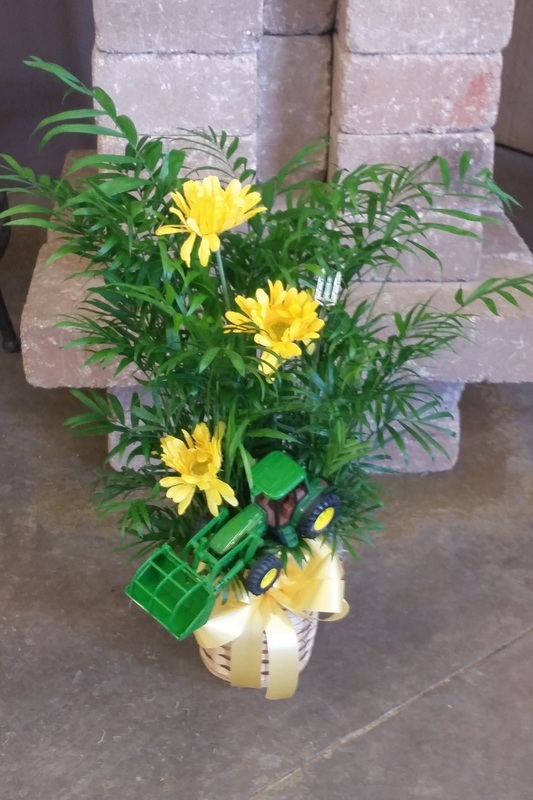 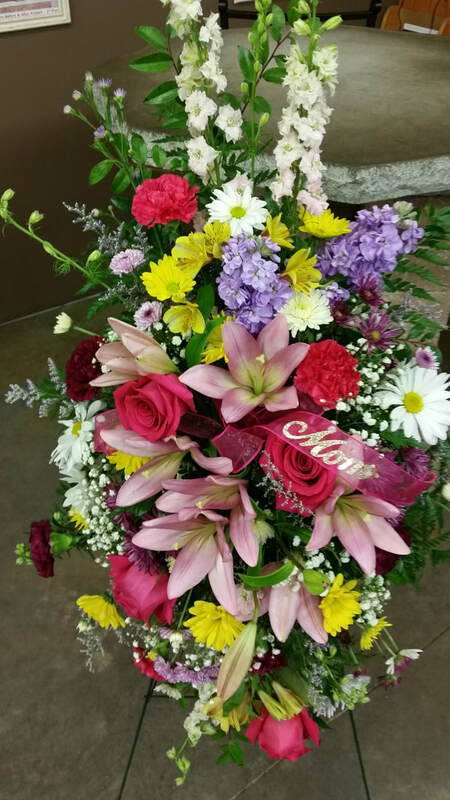 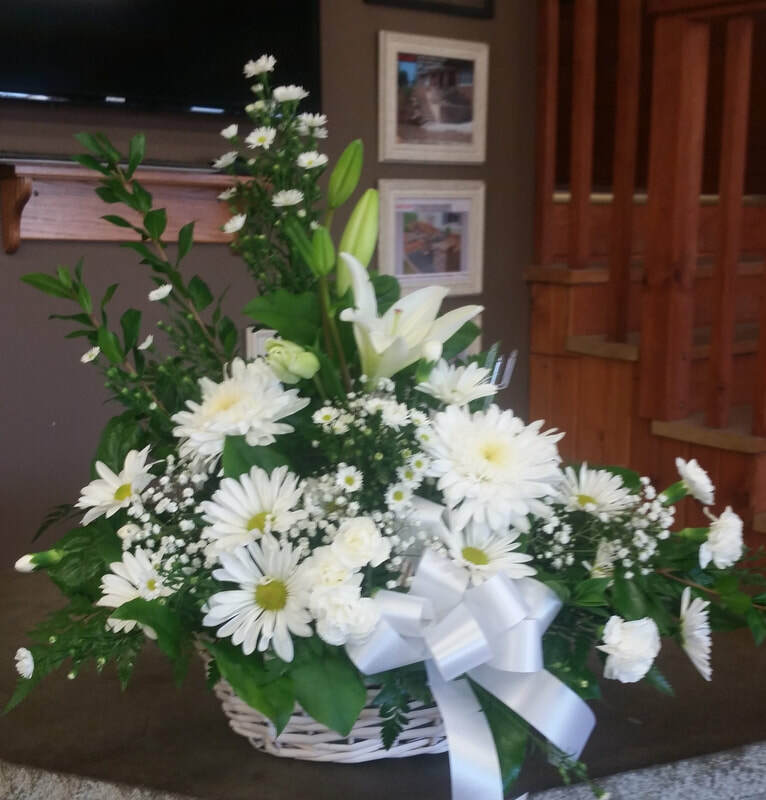 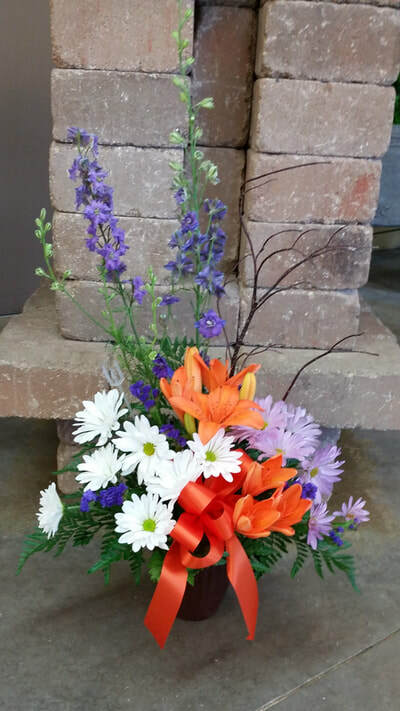 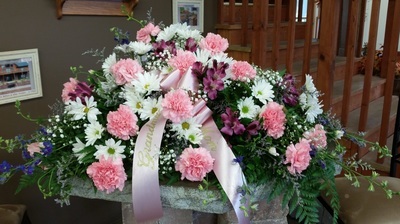 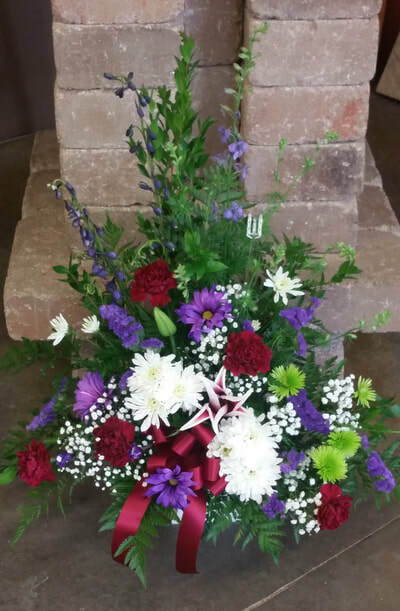 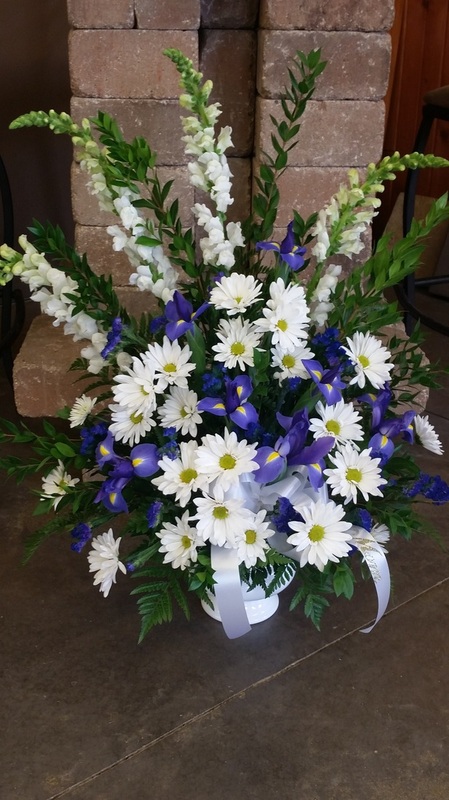 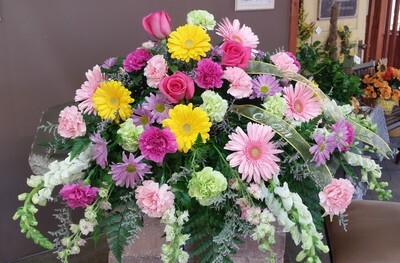 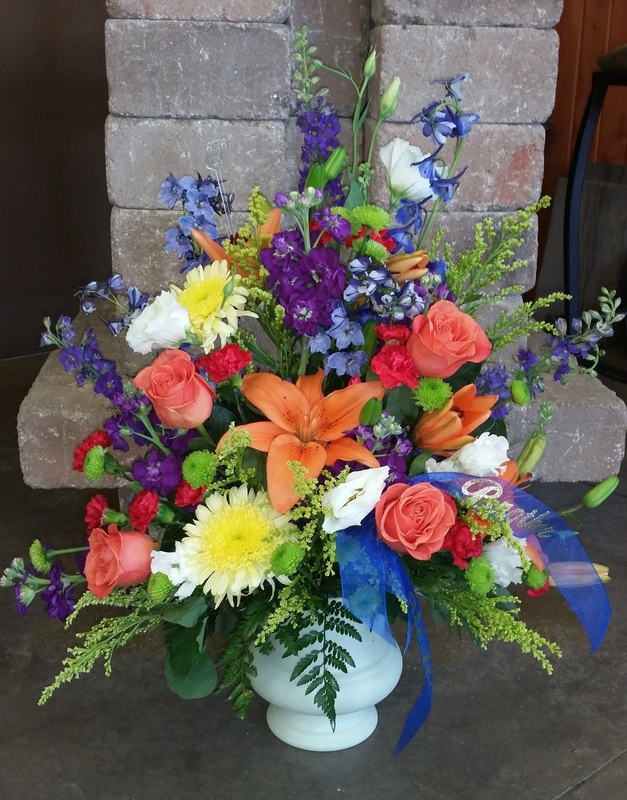 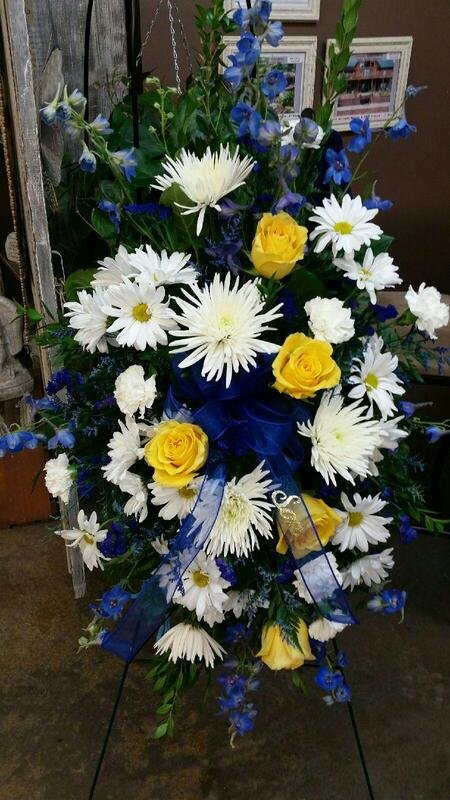 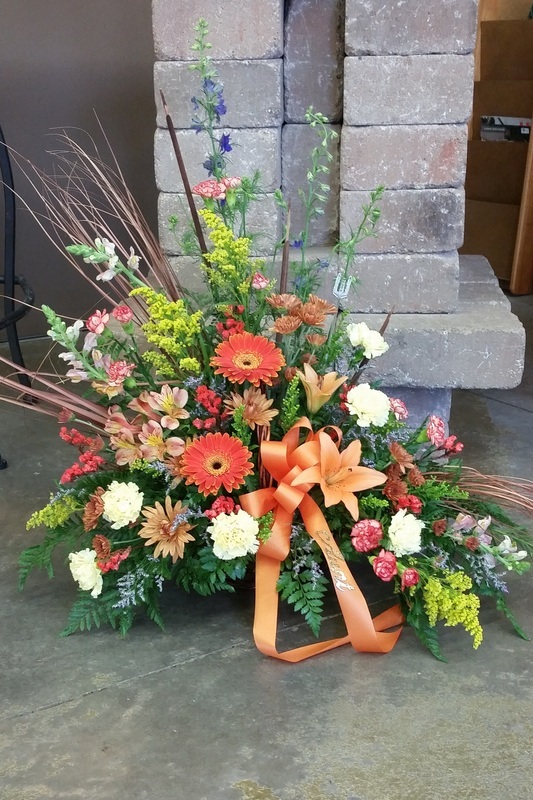 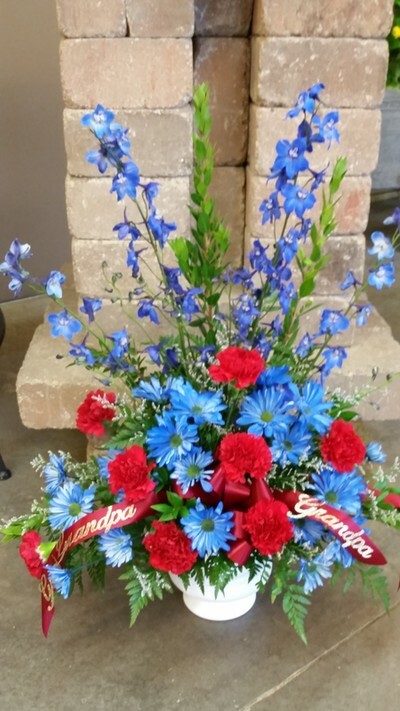 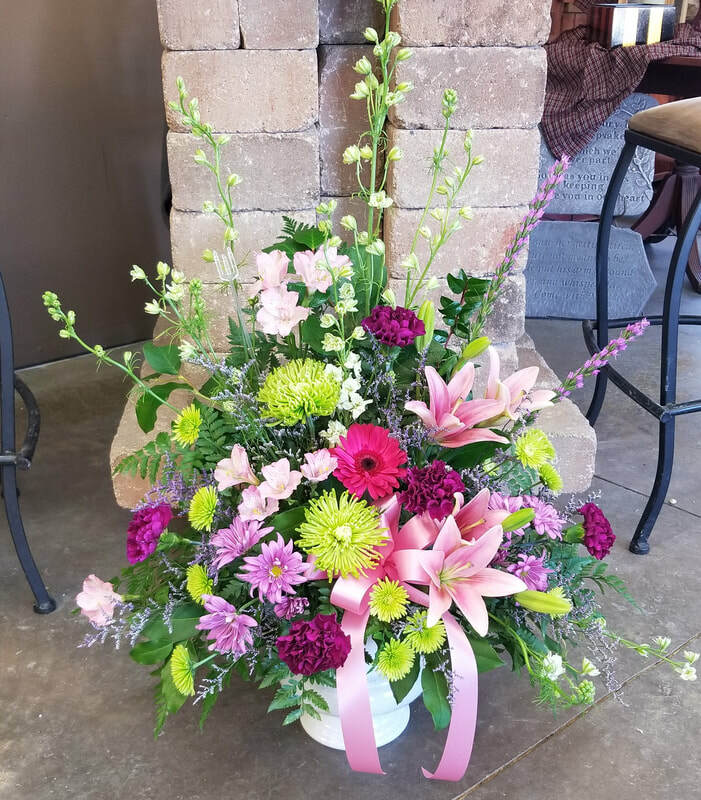 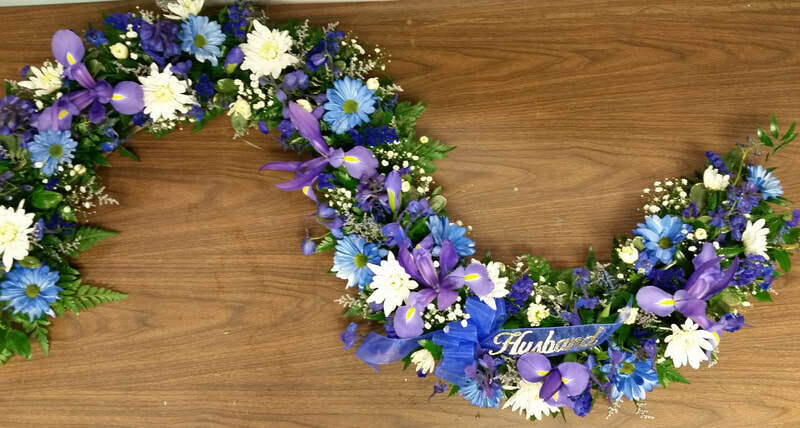 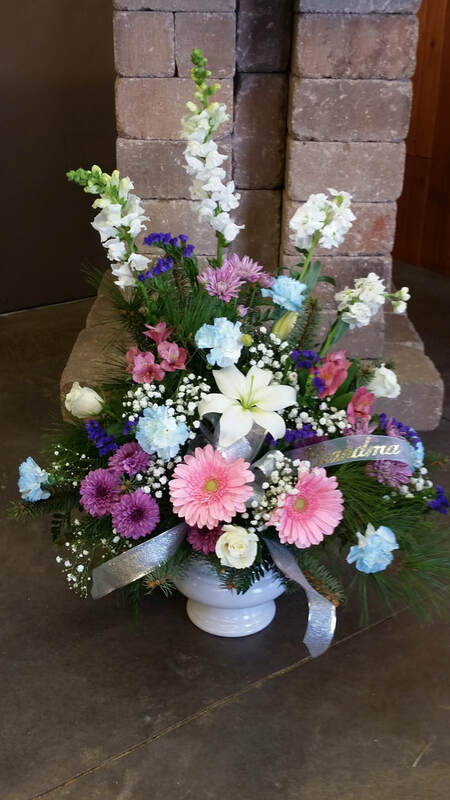 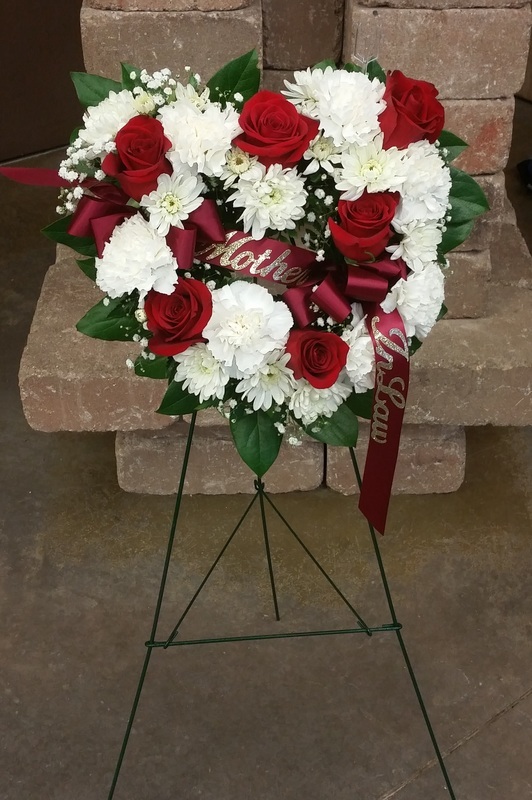 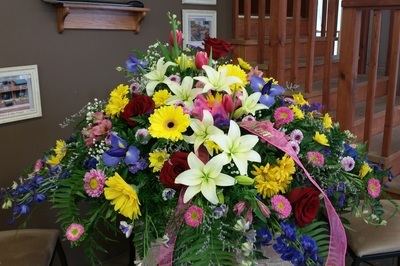 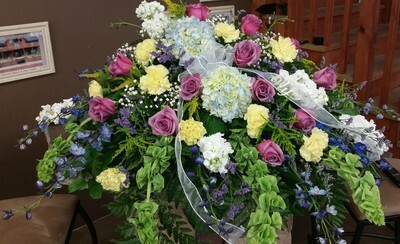 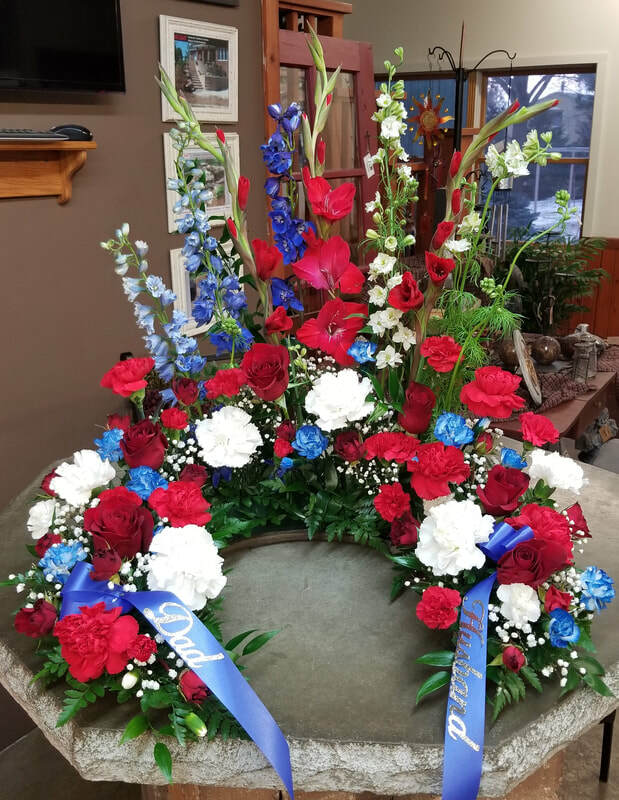 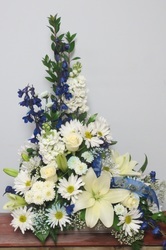 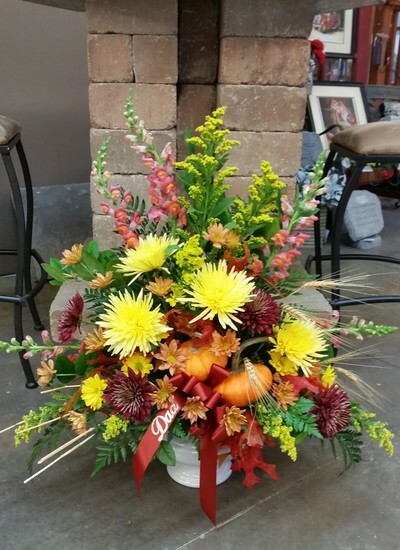 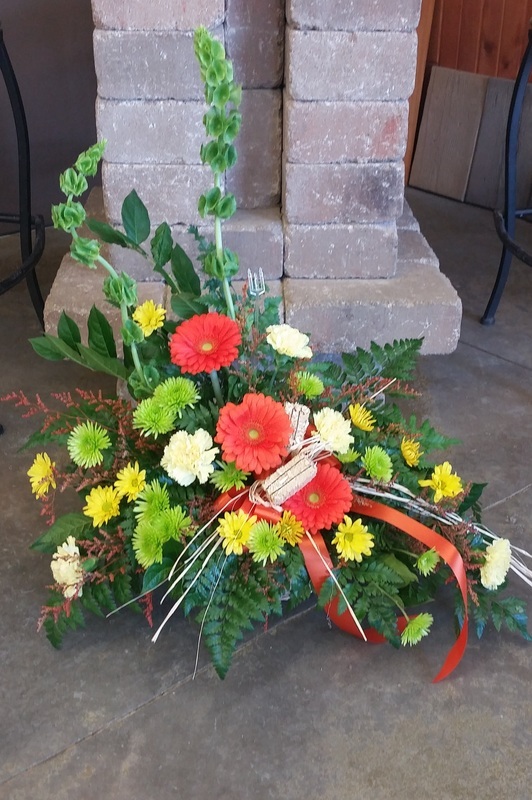 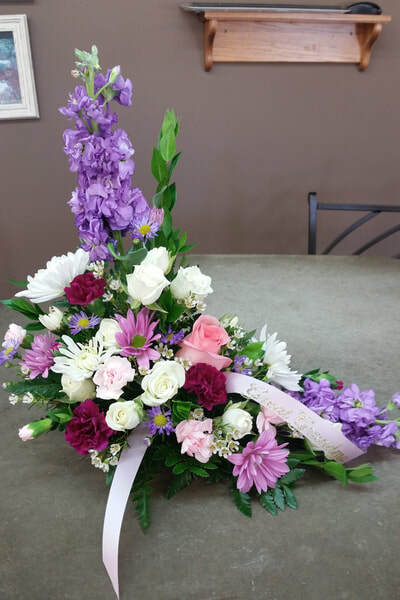 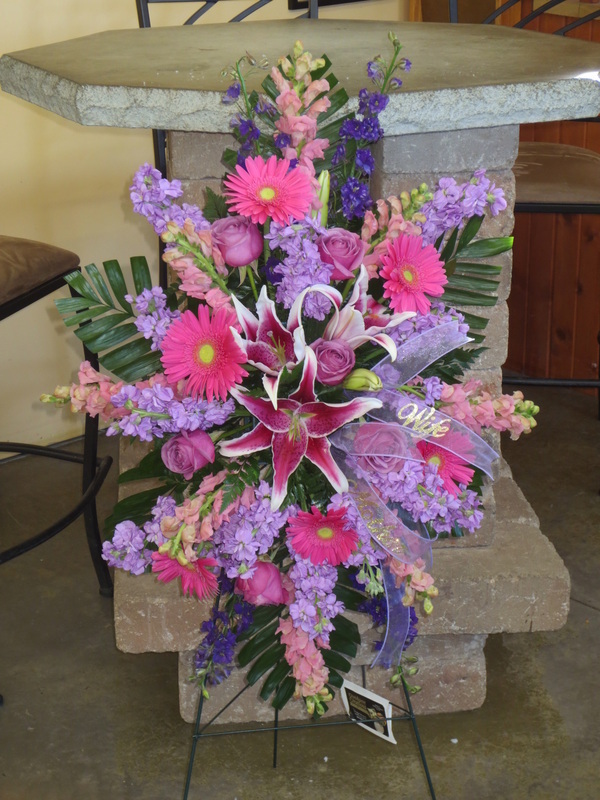 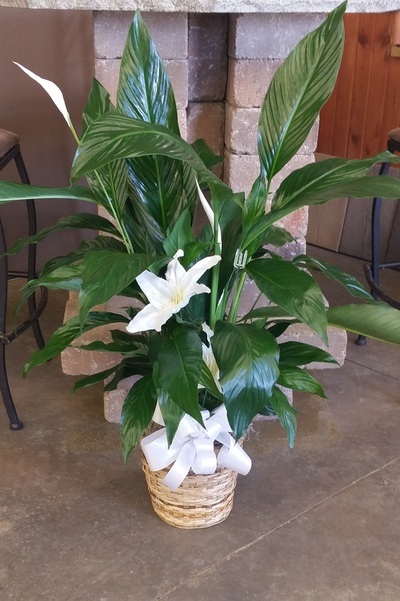 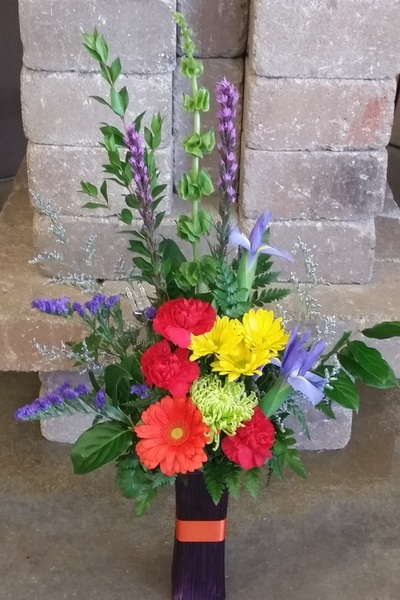 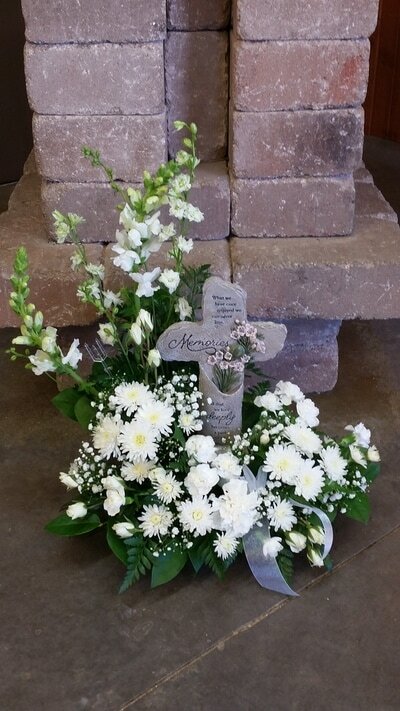 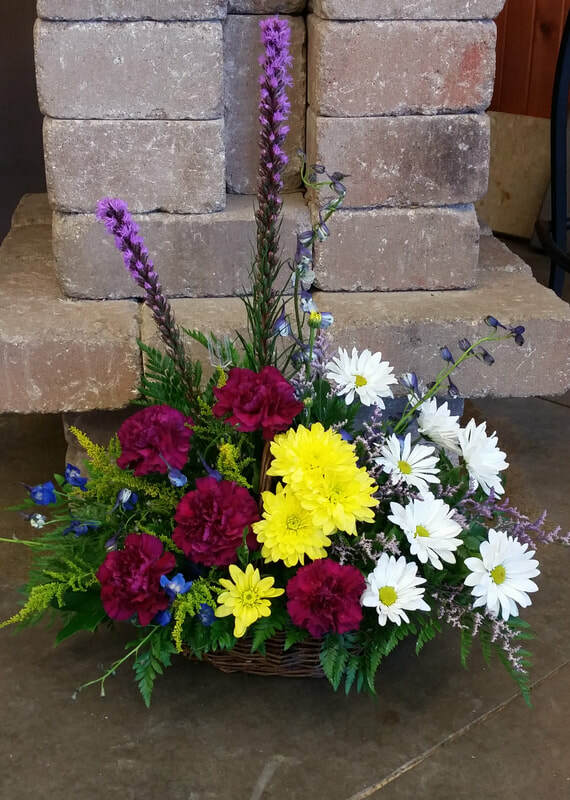 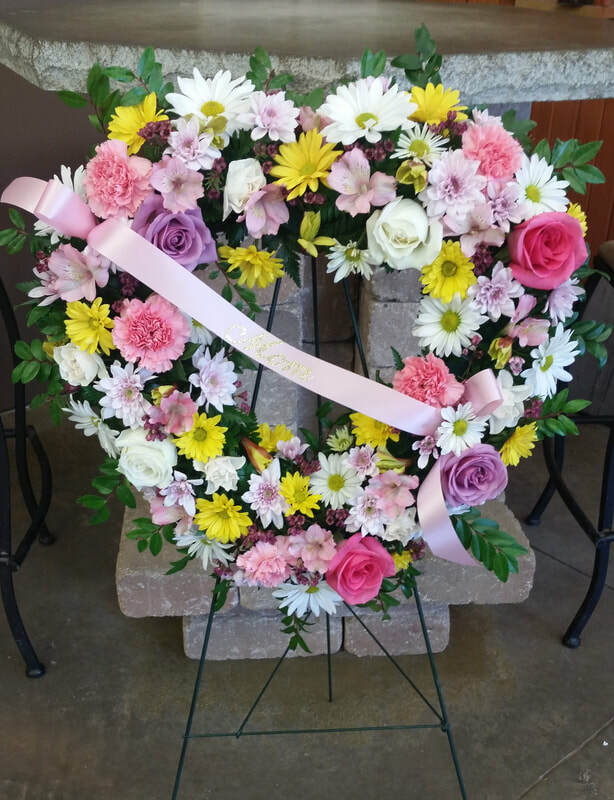 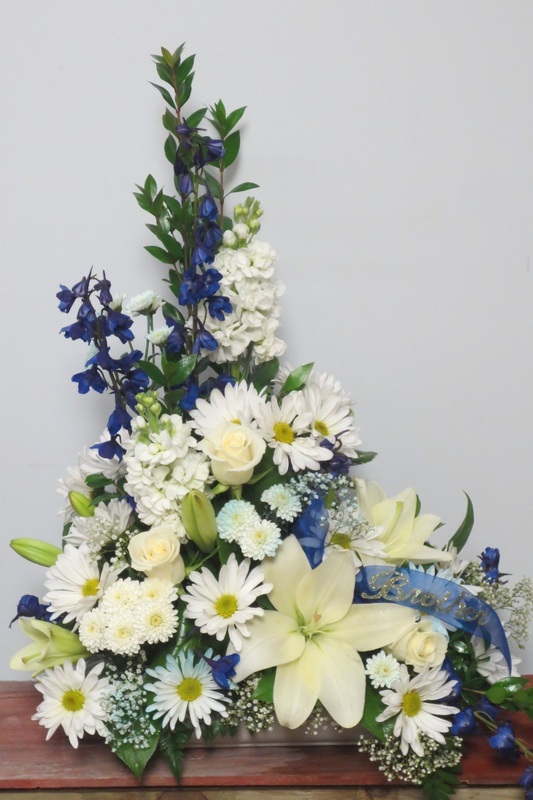 Express your heartfelt condolences with a beautiful arrangement from Outdoor Creations. 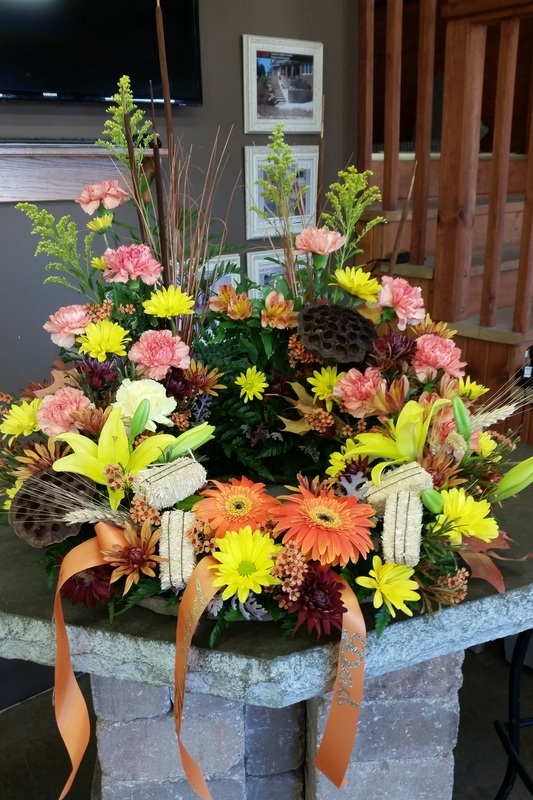 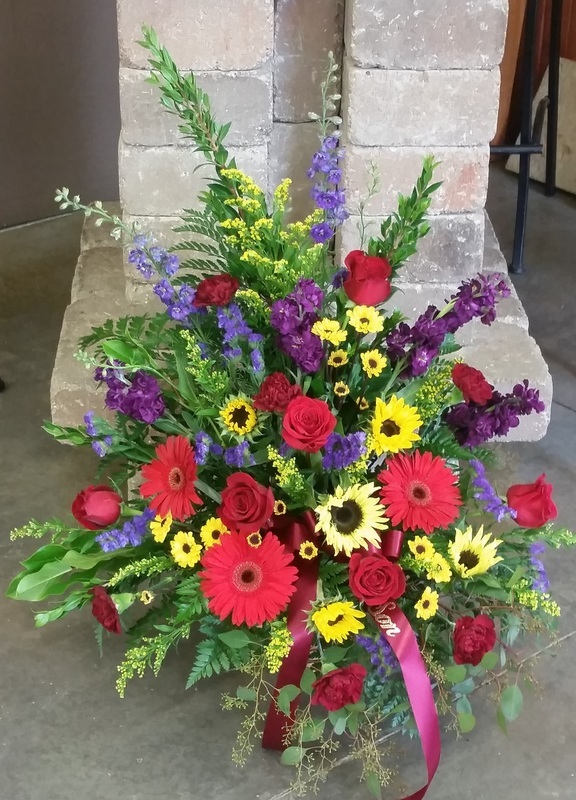 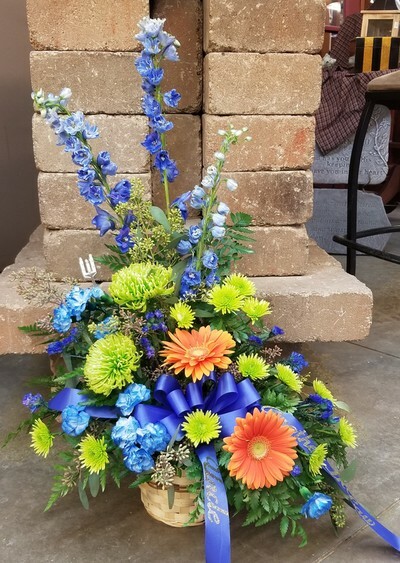 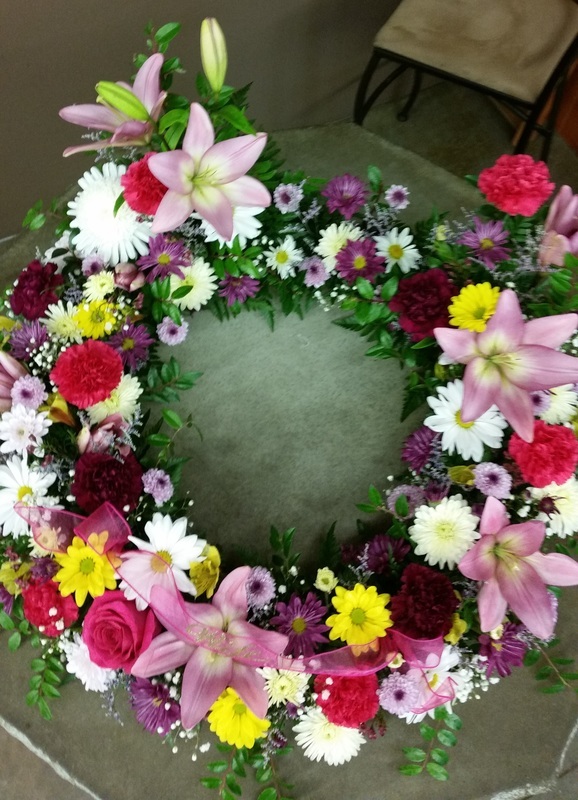 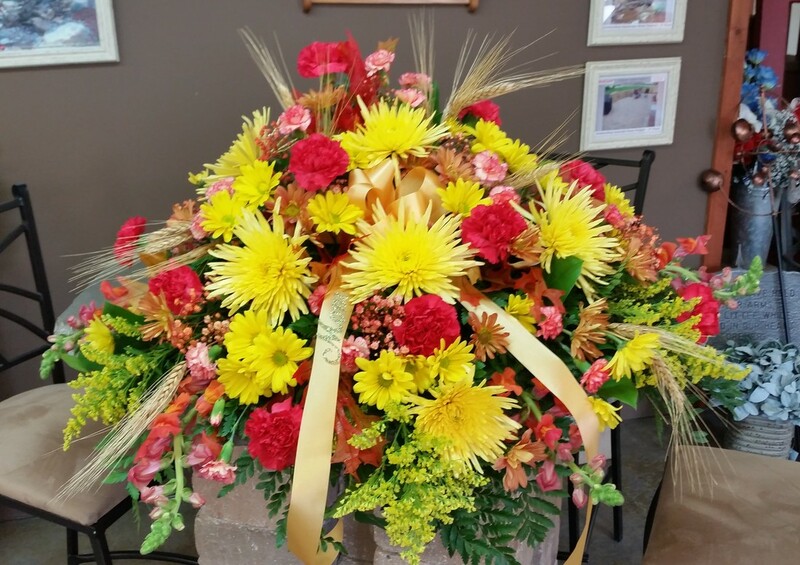 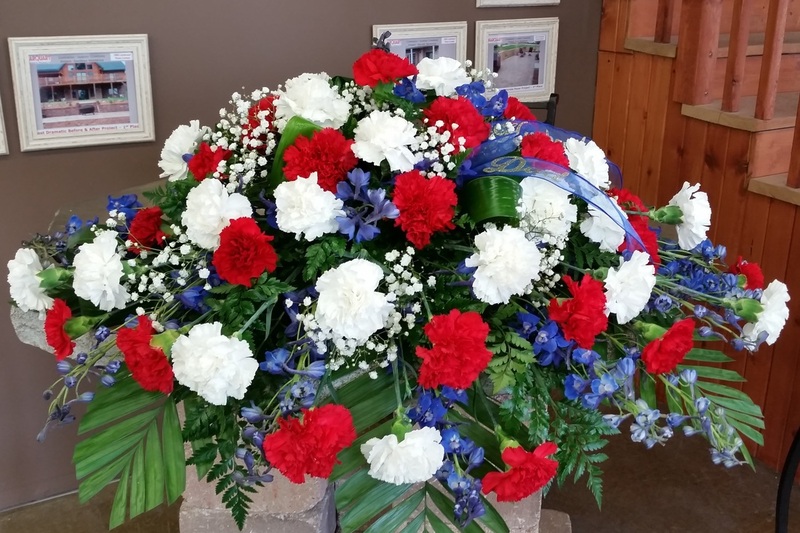 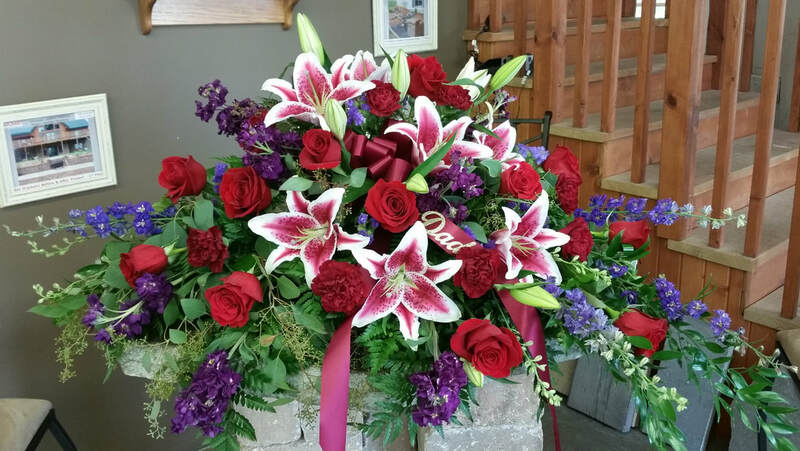 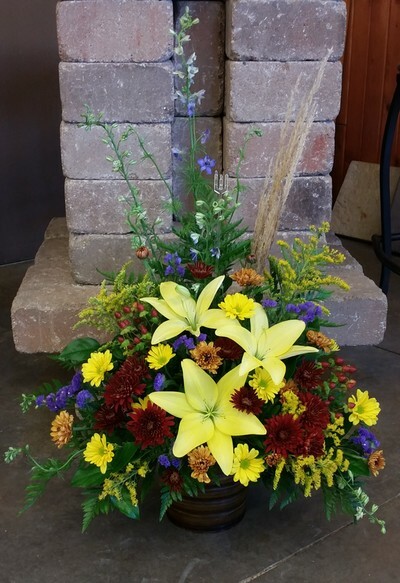 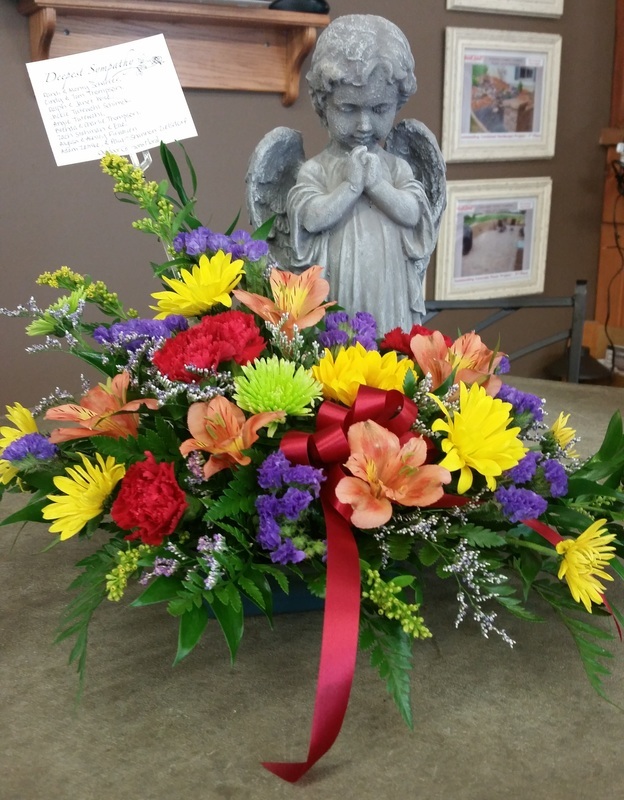 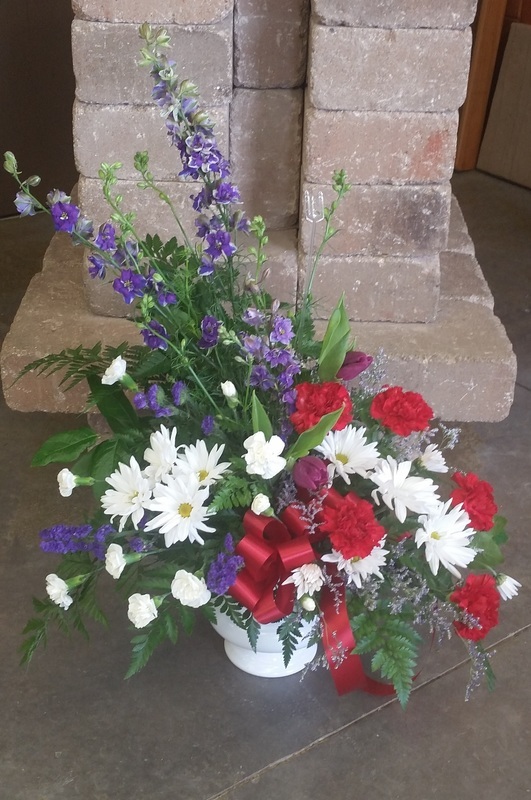 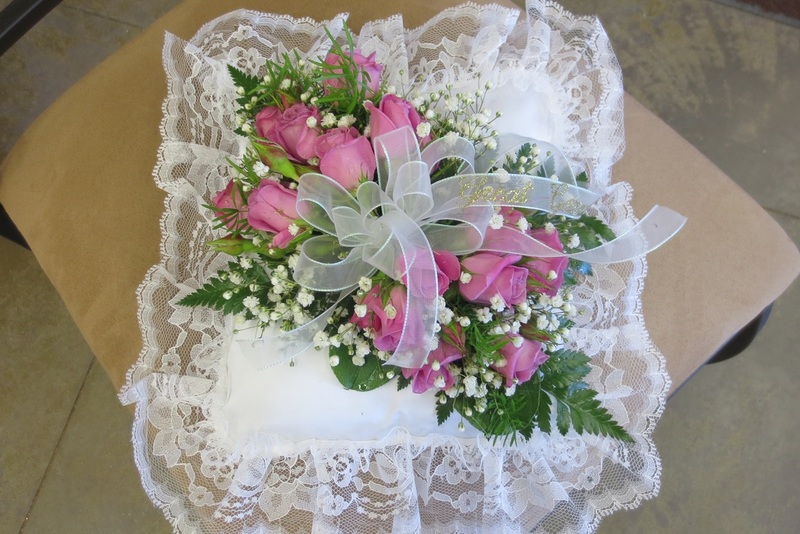 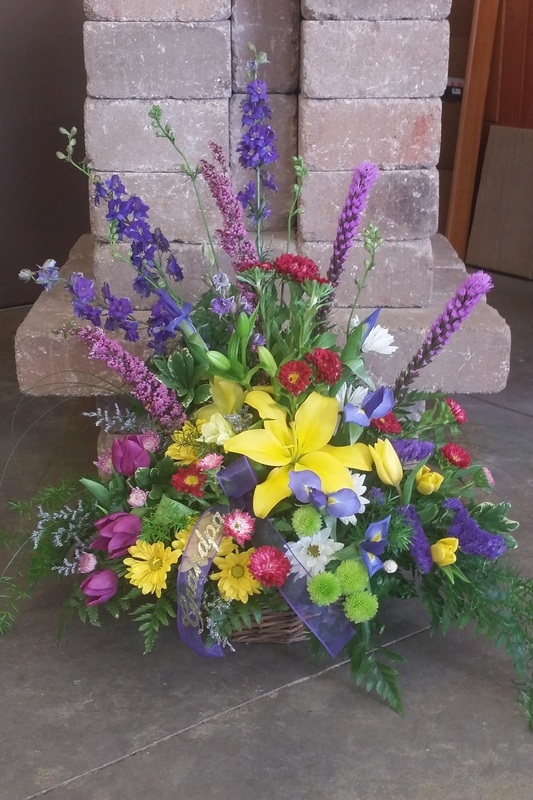 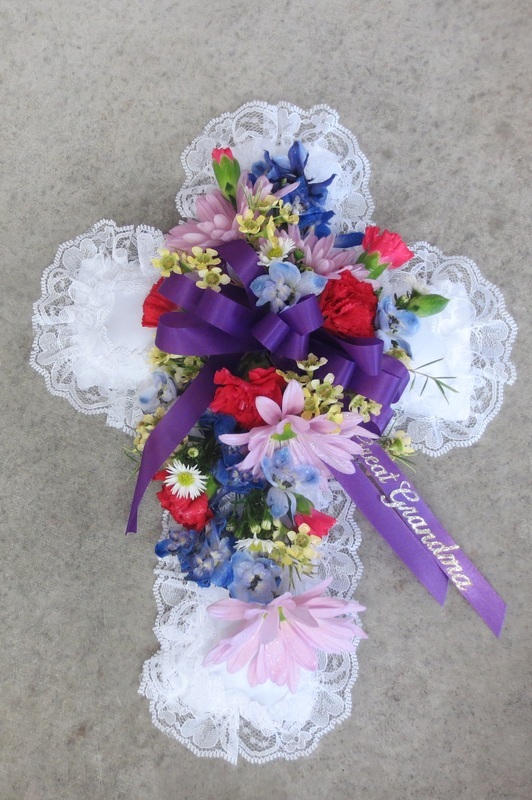 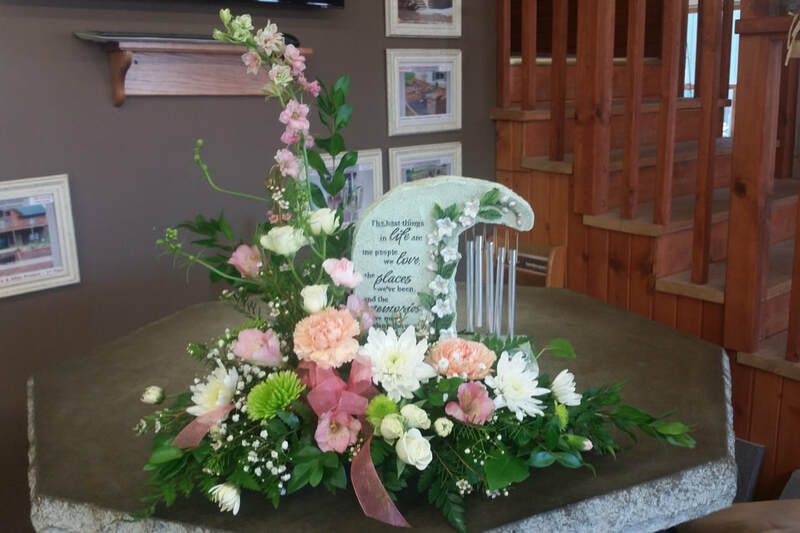 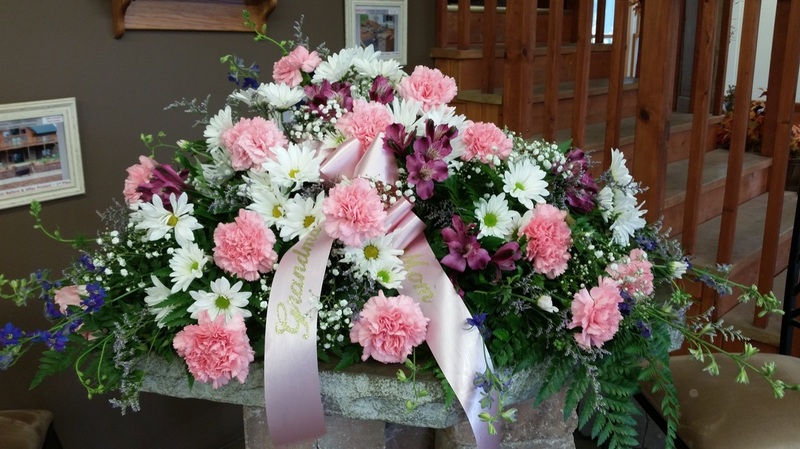 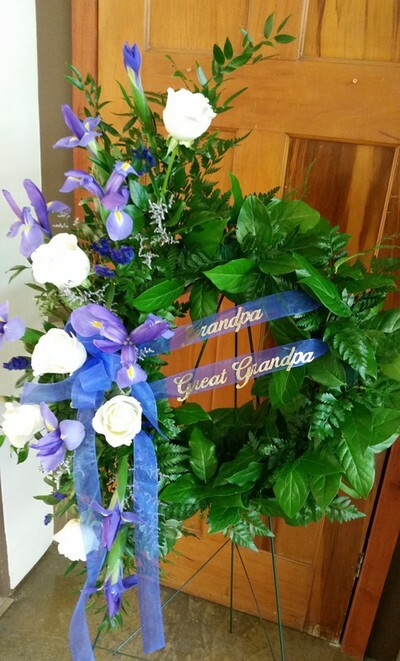 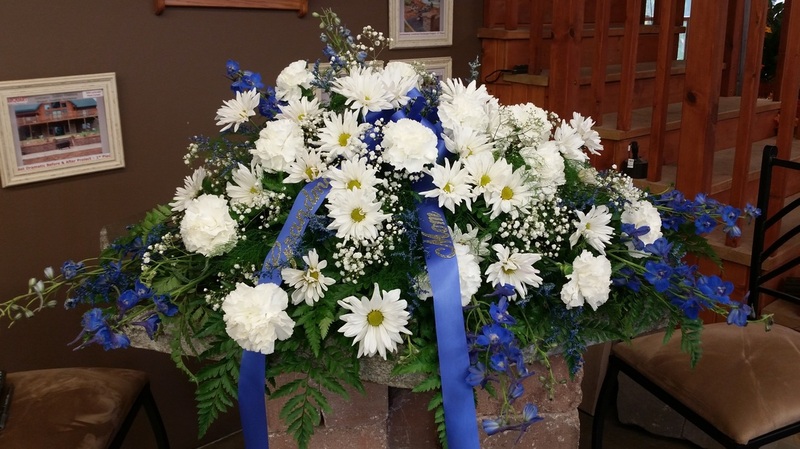 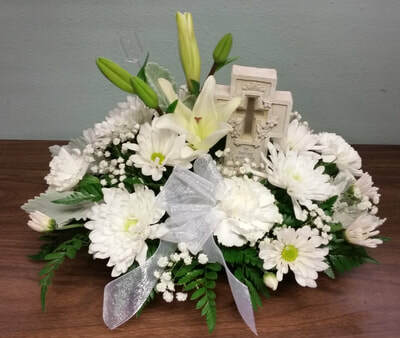 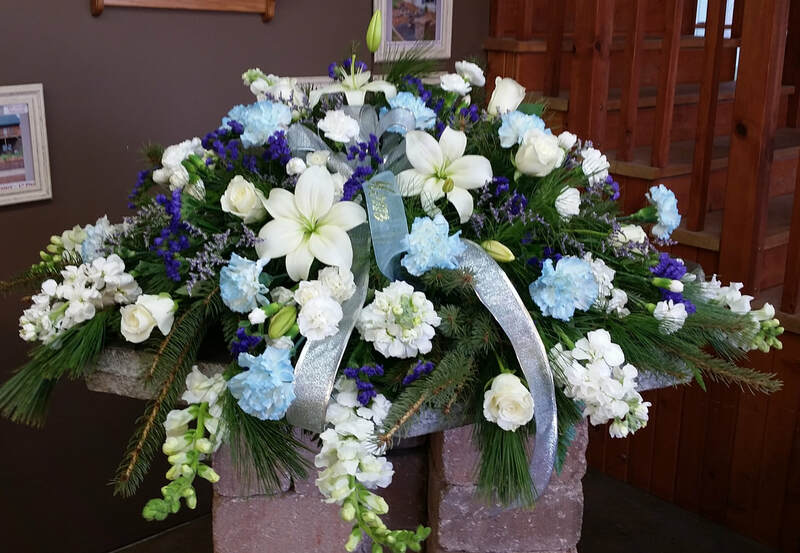 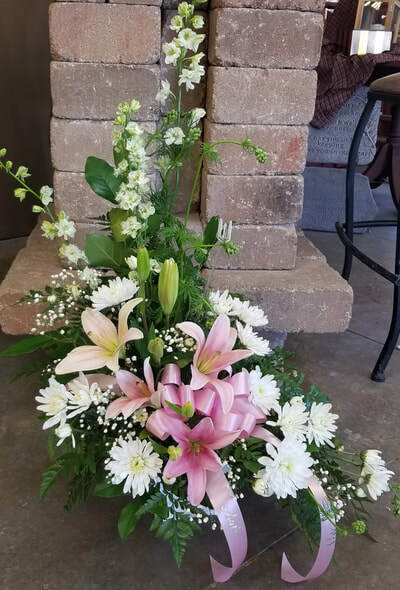 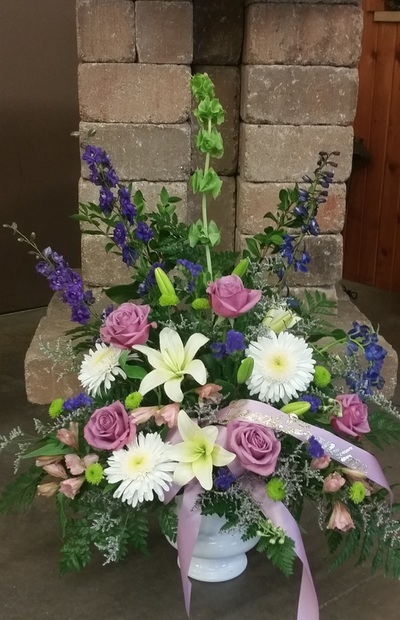 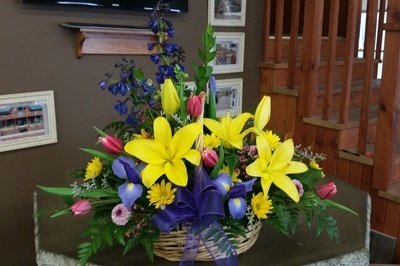 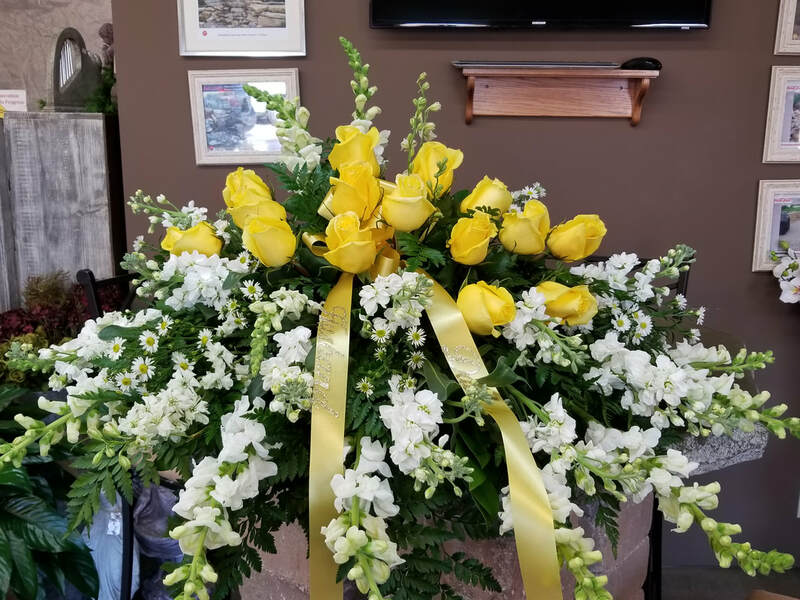 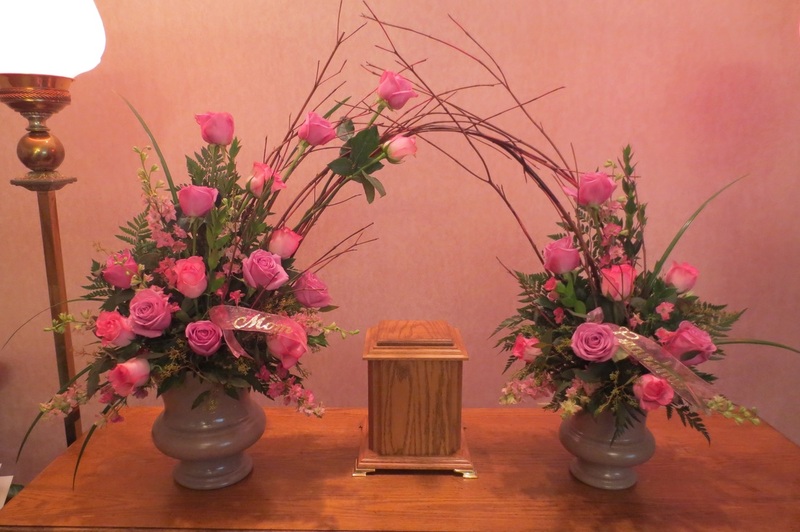 Sue can create a wide variety of funeral, casket, and sympathy arrangements for your loved one. 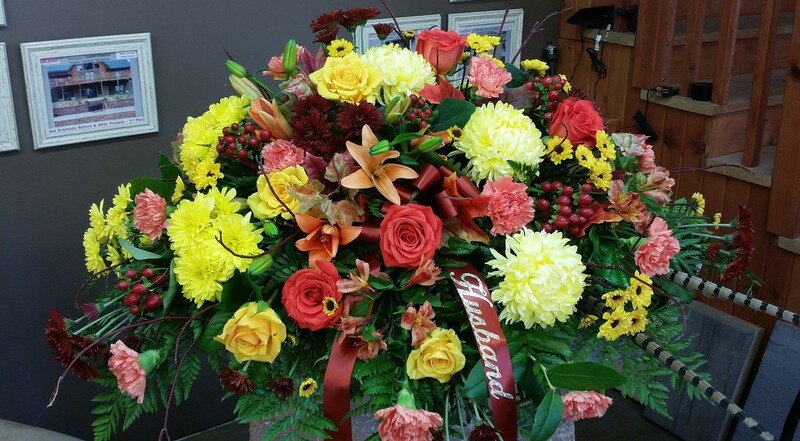 She will help you choose the right arrangement while keeping any budget in mind. 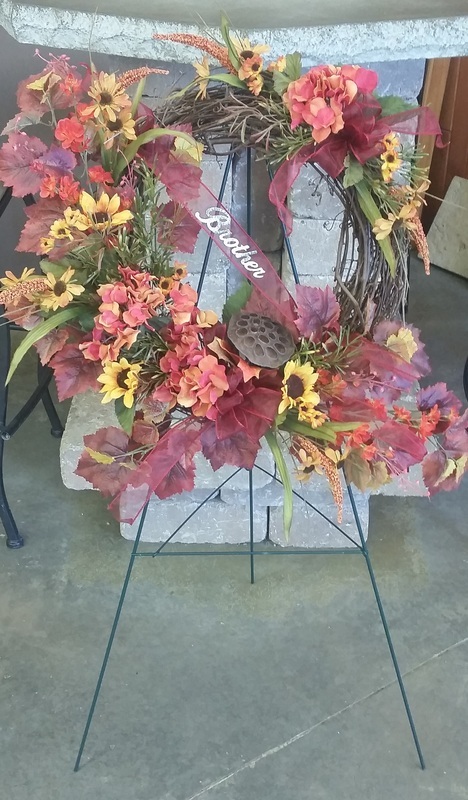 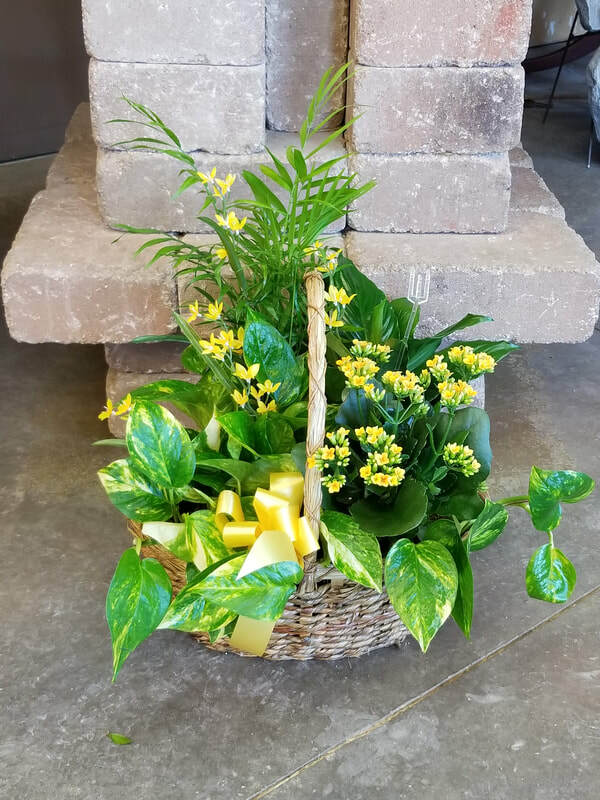 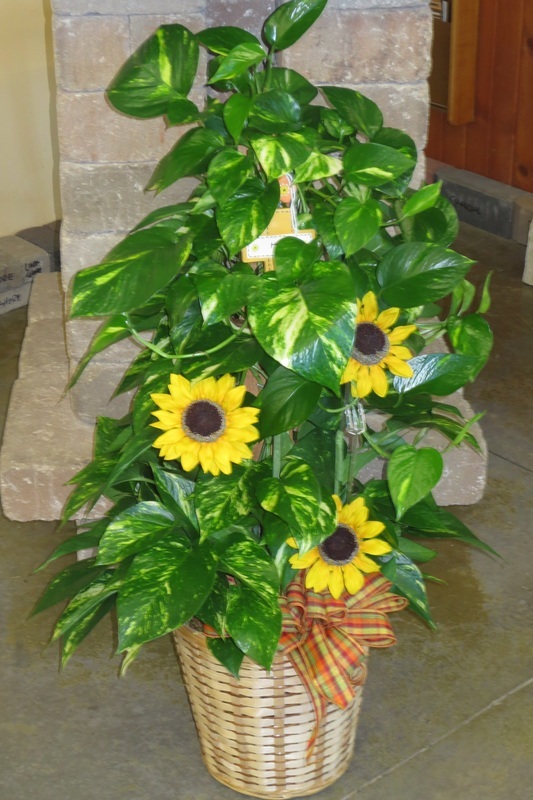 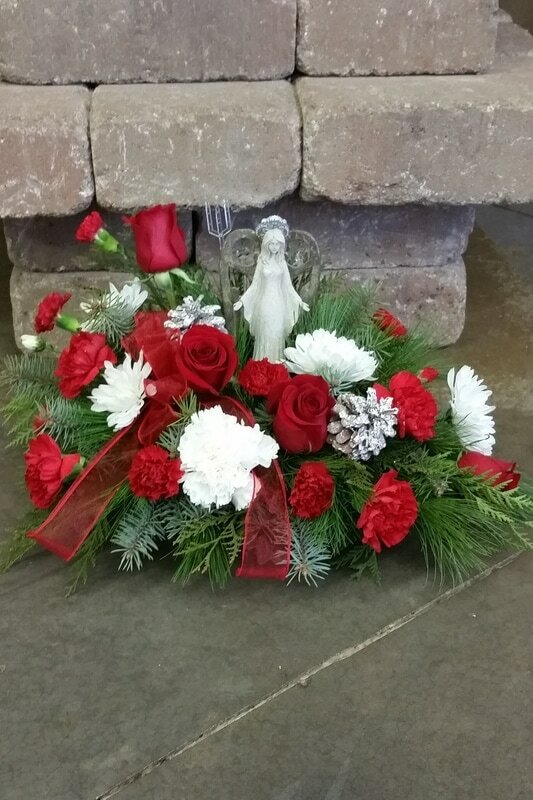 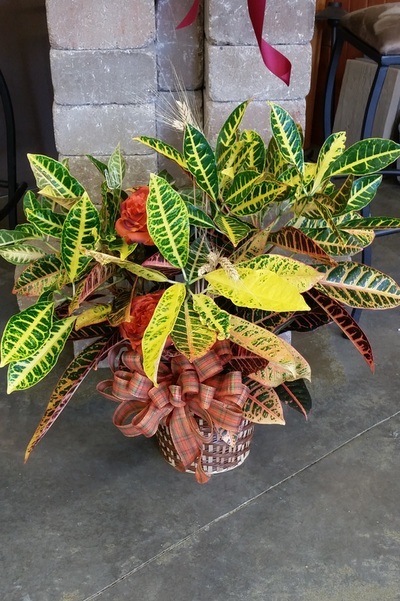 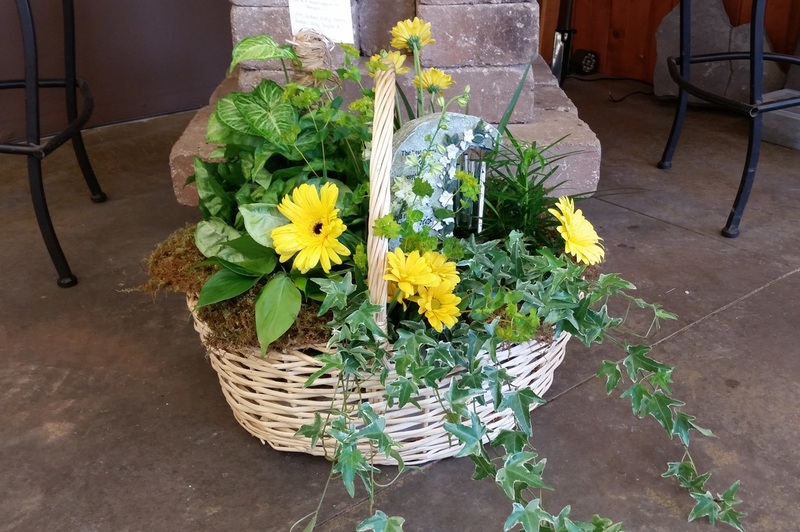 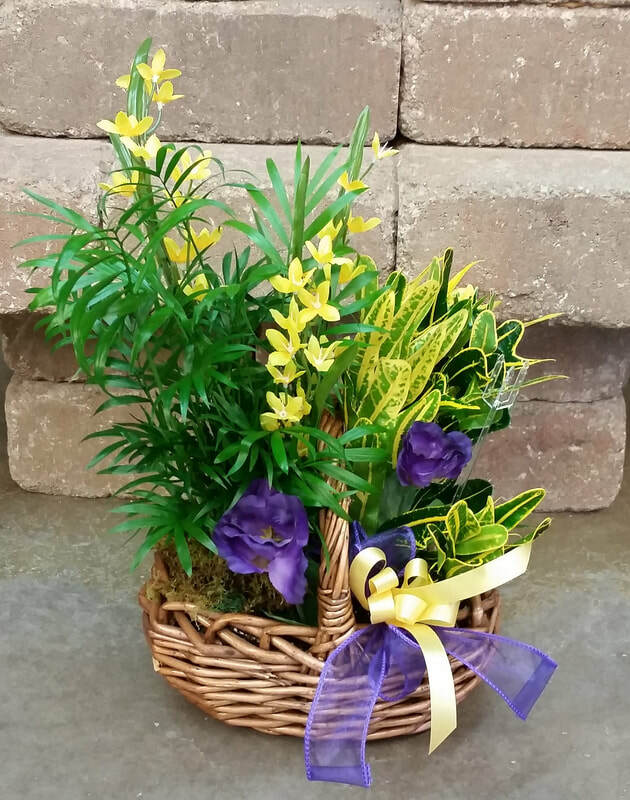 Outdoor Creations also carries a nice selection of green and blooming plants along with stepping stones, angels, crosses, wind chimes, and more. 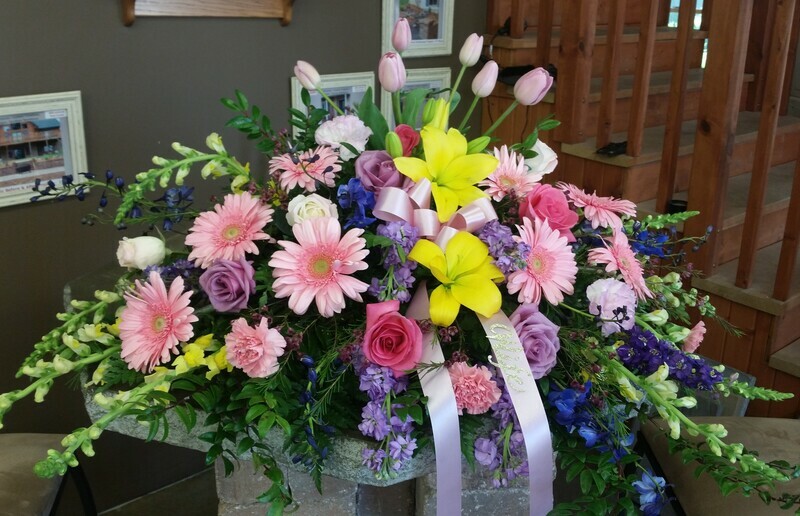 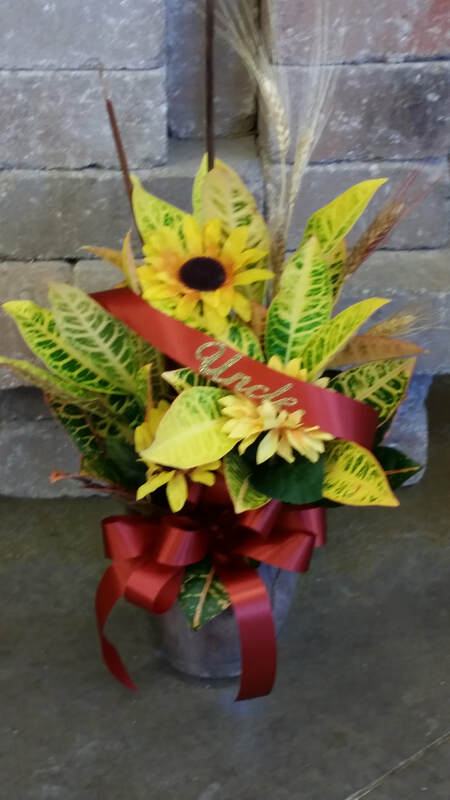 Call us at 563-539-2565 or stop in and let Sue help you choose the perfect arrangement.